Two tall stone obelisks were erected in 1859 on Guile Point (also known as Old Law) to guide shipping into the small harbour behind Holy Island on the Northumbrian coast. 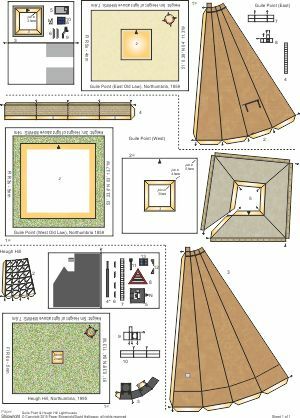 Over time the daymarks became unreliable and no longer marked a safe approach, so a light was mounted half-way up the seaward daymark and a second light mounted on a new tower on Heugh Hill. These two lights, when aligned, now show a safe passage. The lighths are fully automated and both are situated on land with public access. 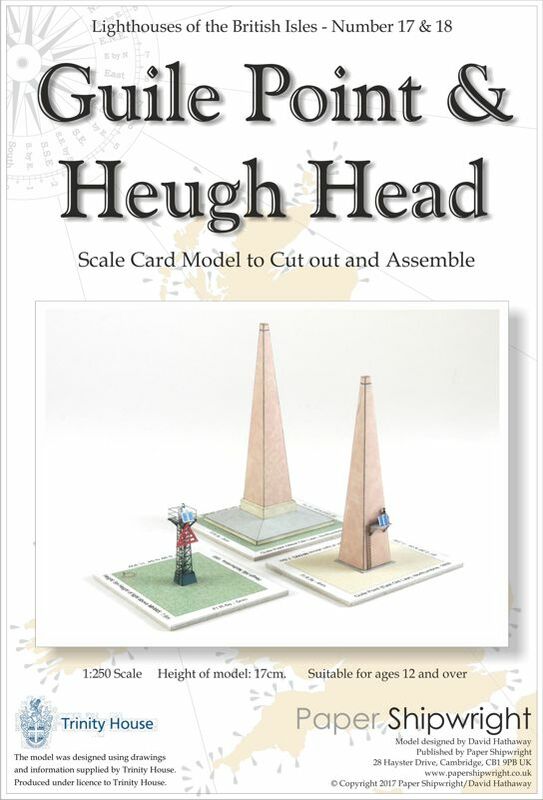 Models of both of the Guile point obelisks and the Heugh Hill tower are included. This model is part of a range of models of English and Welsh lighthouses produced under the terms of a licencing agreement with Trinity House.